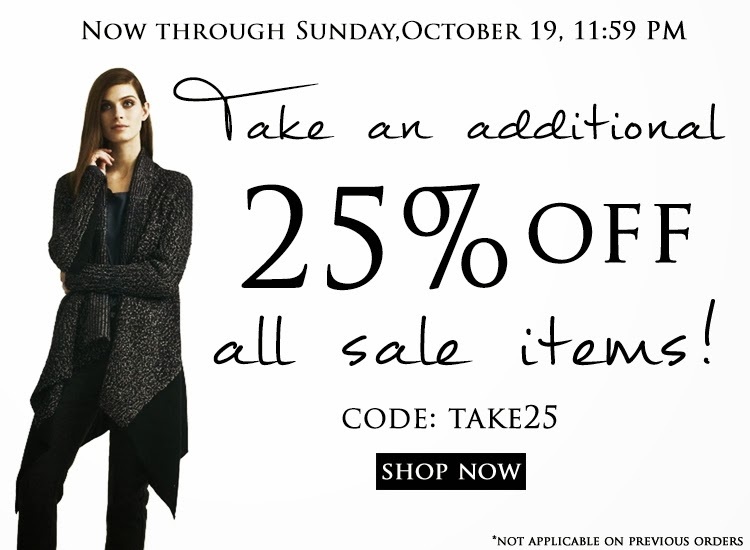 Want an additional 25% off all sale items? Of course you do! Now through Sunday night, you can nab those pieces you've been eyeing for a fraction of the price! Just use coupon code take25 at checkout.